Summary: Formerly called the Green-Certified Hand Wash, Gojo have made some changes to the formulation and will now be known as GOJO MILD FOAM HAND WASH (FRAGRANCE-FREE). Read more. This notice is to advise of an immediate formulation change with regards to GOJO Green Certified Foam Hand Wash, in both the FMX (SKU: 5165-03) & TFX (SKU: 5665-02) Platforms. Over the coming weeks you will notice that product is now branded GOJO® Mild Foam Hand Wash Fragrance Free. This product has now been enhanced and is designed for frequent hand washing. The new formula does not include any ingredients that can lead to skin irritation and is Kathons-free (a preservative). This new formula has been developed specifically for settings such as acute & aged care, however is still suitable for our traditional markets, such as food service, hospitality and general industry. The product SKU's, case quantities and prices remain the same. The product is still colour & fragrance-free, hypoallergenic and a biodegradable formulation, being both Green Tag & Ecologo certified. 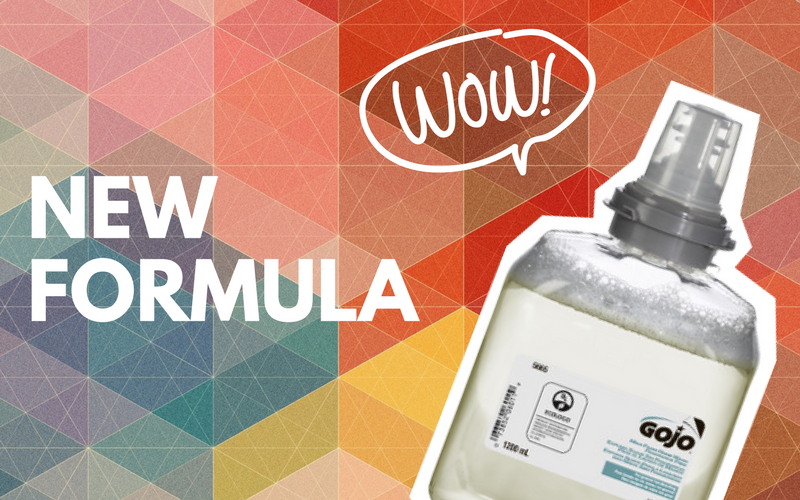 This formula has been under trial in Royal Melbourne Hospital (Victoria, Australia) for over a year and has been proven to clean without drying out skin (as tested on the Nurse.s aesthetics wash panel). For more information, please call (08) 8398 2872 or email sales@pak-rite.com.au.